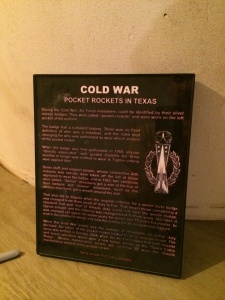 From the ancient armies of China and India and the 19th century British armies using solid rockets in combat, to Von Braun’s work in Nazi Germany and Robert Goddard’s work with the U.S. Navy during the Second World War, the history of rocketry can not be told without mentioning the military aspects of these powerful devices. 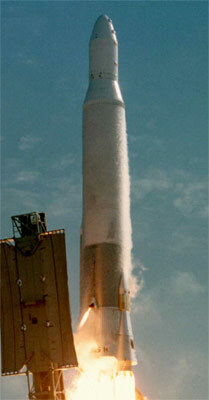 Modern rocketry at the dawn of the Space Age has roots in one of the most lethal weapons in mankind’s history. 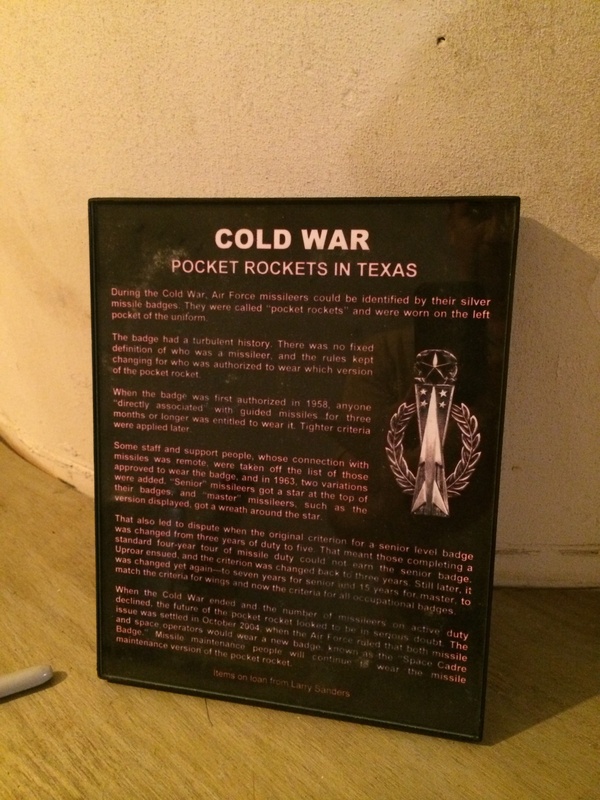 A few years back (June 2014), my wife and I arranged a tour of an unusual piece of Cold War history in the middle of Texas. 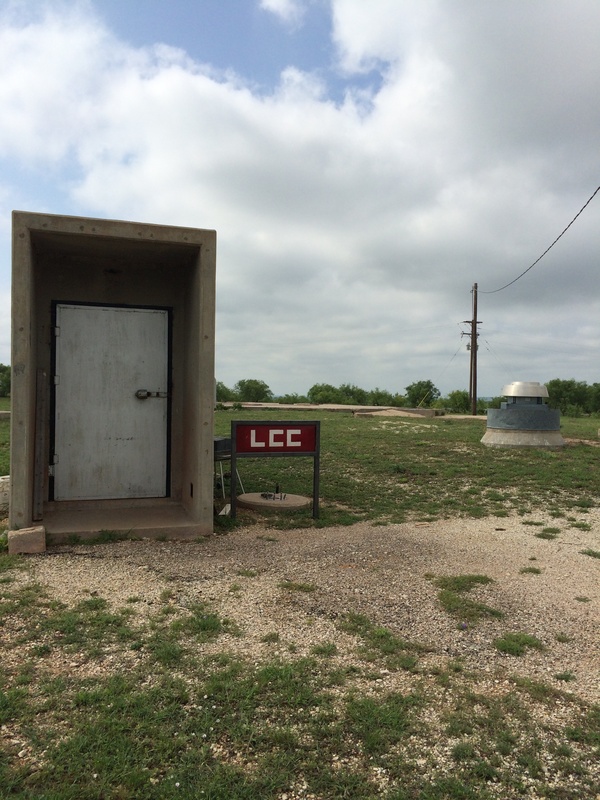 Larry Sanders, our gracious host is the owner of a former nuclear missile site just outside of the small town of Lawn, Texas. 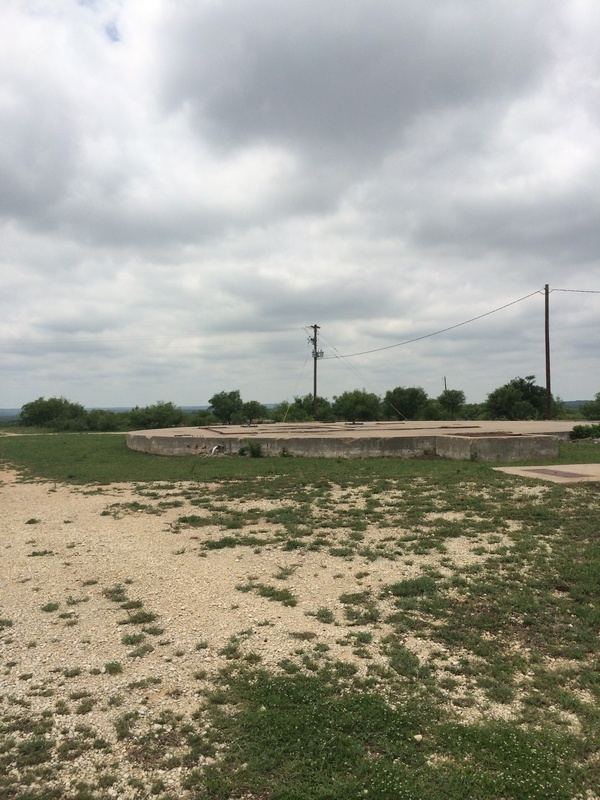 Through his hard work, he has begun to restore his own Cold War museum at this lonely piece of land adjacent to the rolling Texas plains and pastureland. This area, now called the Lawn Atlas Missile Base (LAMB) was once a first-generation Inter-Continental Ballistic Missile (ICBM) site near the small town of Lawn, Texas, less than 20 miles from Abilene, home to Dyess Air Force Base (AFB). 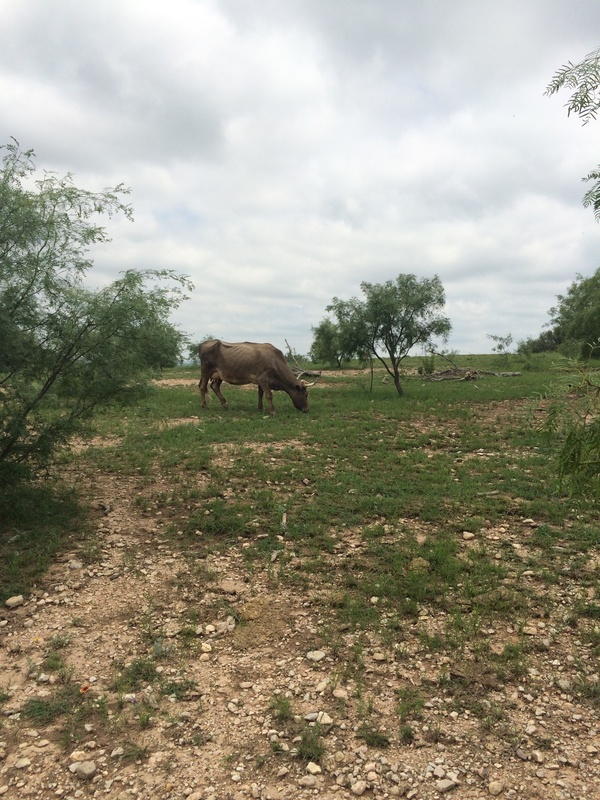 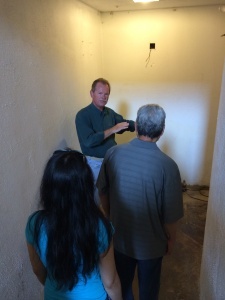 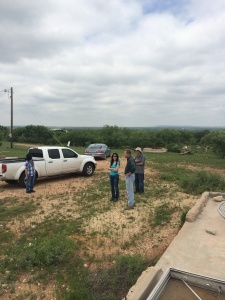 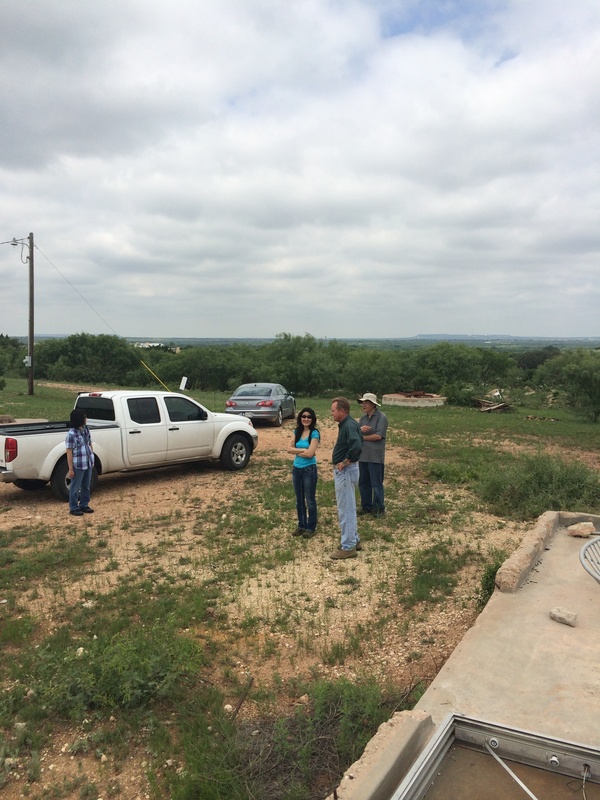 Larry gives tours to schools and other interested parties in the local area of central Texas. 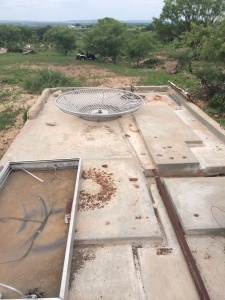 He’s also been in the local and regional news for his work in restoring his missile silo into a unique historical site for the public. 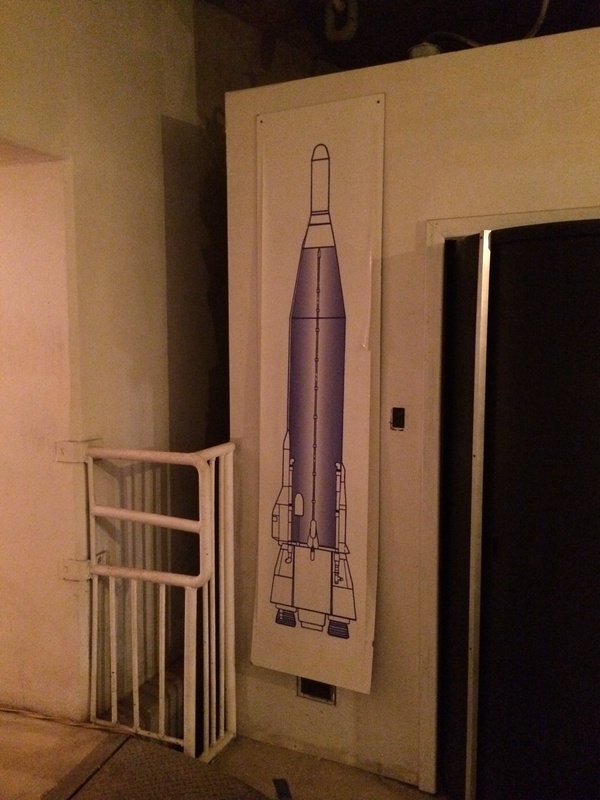 In the early days of the Cold War era, the United States and the Soviet Union were in a race to develop launch vehicles to deliver nuclear warheads to the other side of the world from home and friendly territory. The early ICBM’s were liquid fueled rockets based on the higher performance over solid rocket motors of that time. 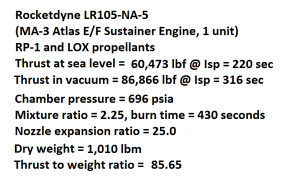 Liquid oxygen (LOX) and kerosene (RP-1) were common high performance propellants in the late 1950’s and early 1960’s (and still commonly used today). 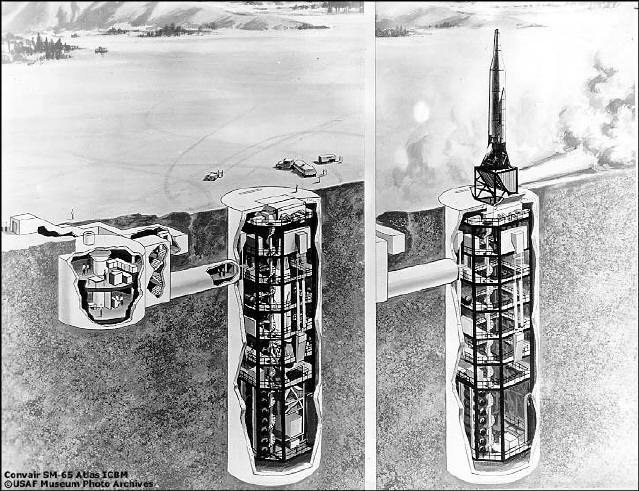 The Atlas rocket stood 82.5 feet tall and 10 feet in diameter and with a gross lift-off weight of 268,000 pounds and a total thrust at sea level of 375,000 pounds from all three of its engines could deliver a W38 nuclear warhead over 9000 miles away. The Atlas rocket designed and built by Convair in San Diego, California, in the 1950’s. 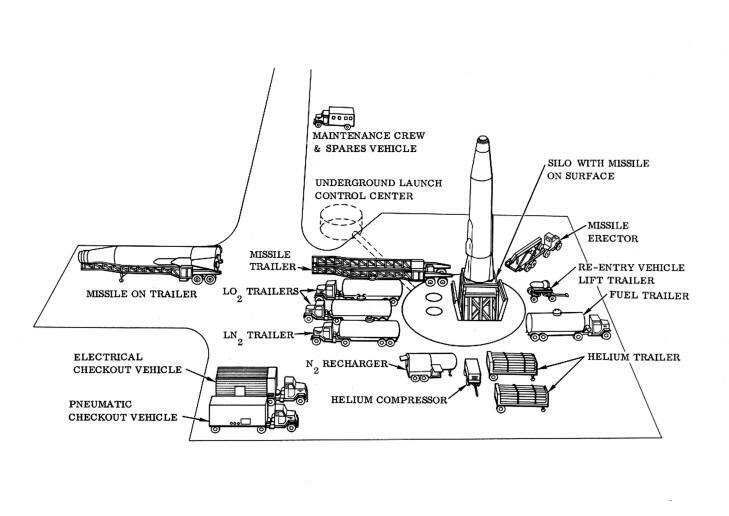 The Atlas used a unique vehicle staging concept called “a stage-and-a-half.” Staging of early rocket vehicles at that time was difficult and often plagued with failures. In the 1950’s, there was a concern about reliably igniting the second stage engines in the thin atmosphere at high altitudes. 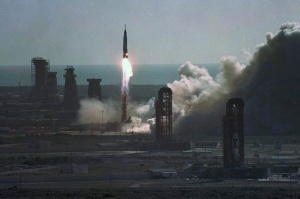 To counter this, the engineers at Convair devised a vehicle that would use a single set of RP-1 and liquid oxygen (LOX) tanks and rapidly ignite all three engines with pyrotechnic cartridges at the same time on the ground. 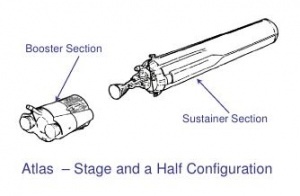 In the middle of ascent, the booster segment would drop away thereby shedding the weight of the two booster engines with their associated pumps in flight. By doing this, the Atlas would finish the mission with only the middle sustainer engine to the end of the flight as the vehicle became lighter. Rocketdyne of Canoga Park, California, built the complex MA-3 engine system for the Atlas ICBM that had two outboard booster engines and a central sustainer engine. 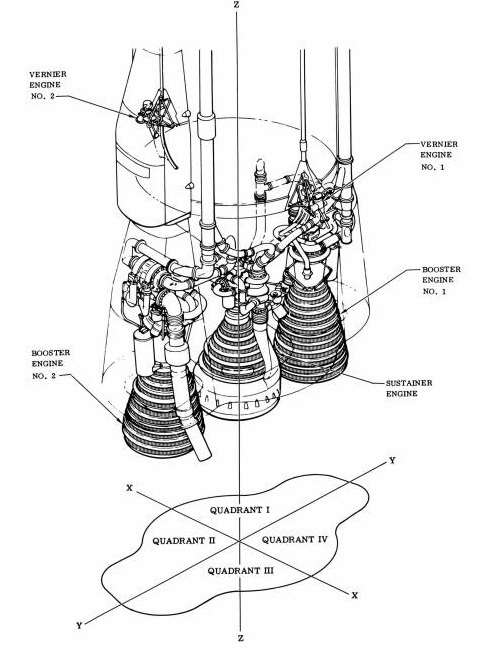 The MA-3 engine had a separate turbopump and gas generator for each of the three engines arranged in a line. 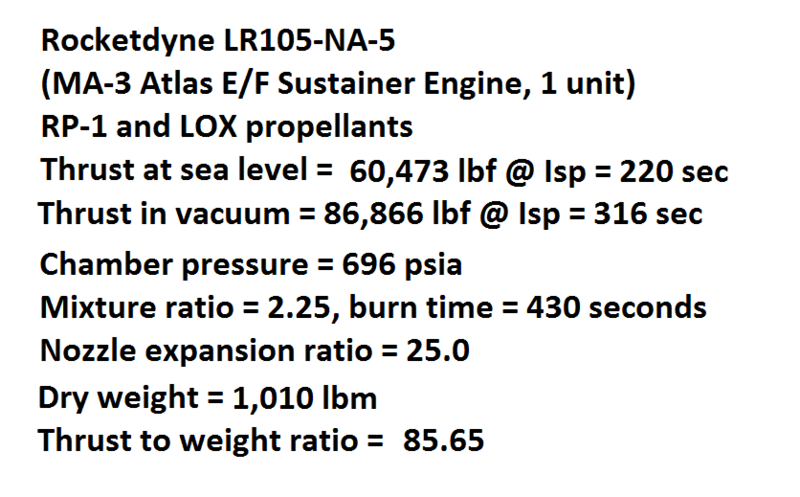 The MA-3 engine also had two small vernier engines for roll-control, one on opposite sides over the sustainer. 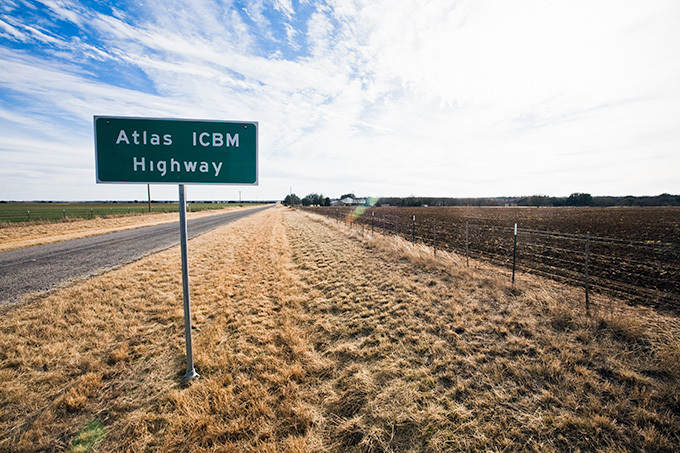 The Atlas was the first operational ICBM in the American arsenal during the height of the Cold War. 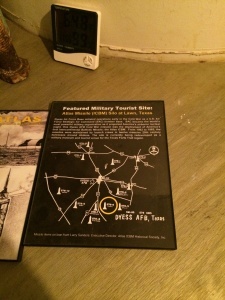 Twelve missile bases such as the one near Lawn, Texas, were clustered in around a central strategic command center, a U.S. Airbase in that region. 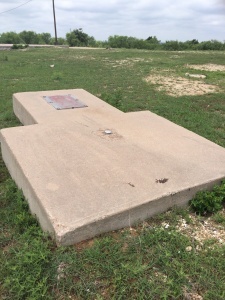 In this case, Dyess Air Force Base in Abilene, Texas, is the former hub of this set of twelve SM-65 Atlas-F type missile sites. 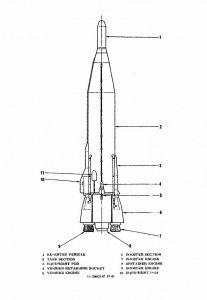 The Atlas-F type was the last and most advanced version of the SM-65 series. 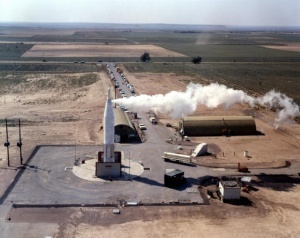 With the RP-1 kerosene fuel loaded and waiting on standby, the Atlas missile was raised vertically from an underground silo to then be tanked with its cryogenic oxidizer (LOX). Air separation plants and special cryogenic liquid handling equipment were required to fuel these first-generation missiles. During its service life, the US Air Force maintained this land-based system to be ready to launch from the surface of the silo within minutes with just a small highly-trained crew. Today, just a few things remain at the surface including the massive, reinforced concrete silo door slab at the Lawn Atlas Missile Base. 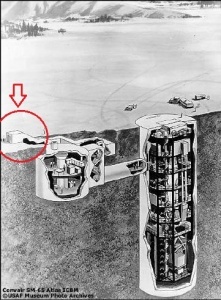 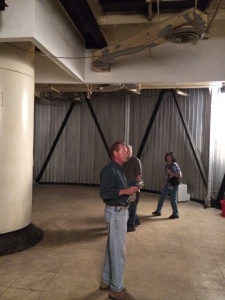 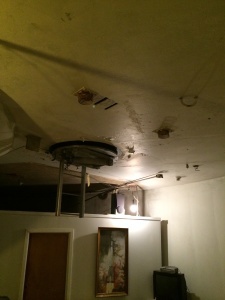 Two doors are built into the roof where the missile was lowered and raised from its protective silo in the ground. 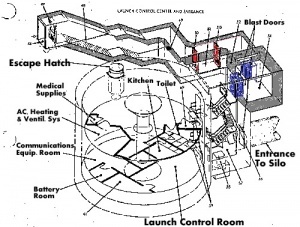 The Atlas E and F models were the first American ICBM’s to have an on-board computer for guidance using an inertial navigation system. 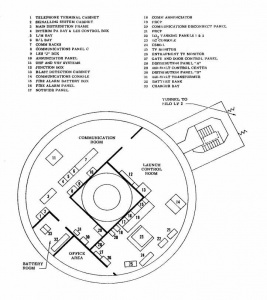 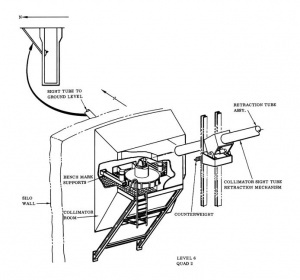 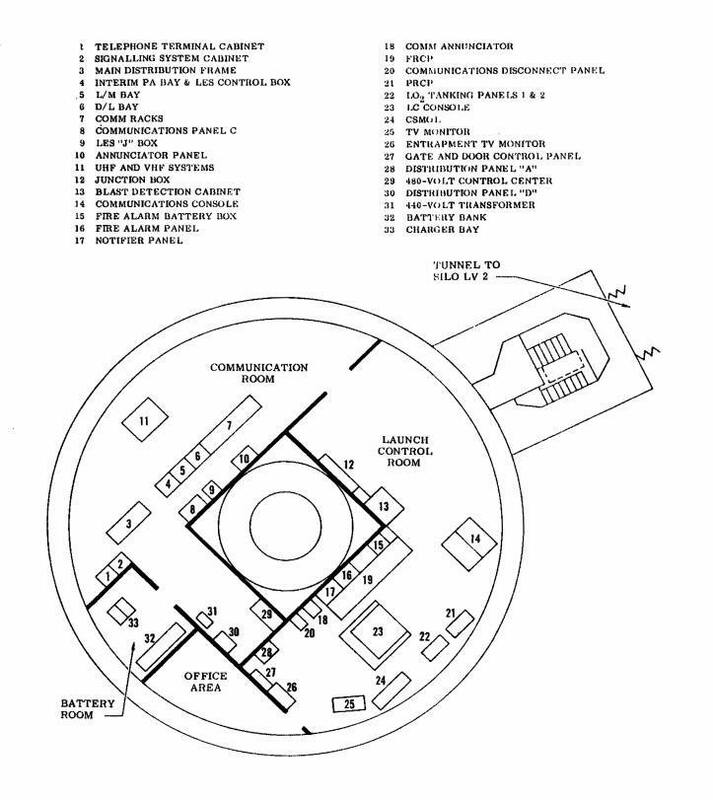 The missile silo had a fixed sighting station to finely calibrate the missile guidance package to make it ready to accurately strike it’s target on the other side of the world. 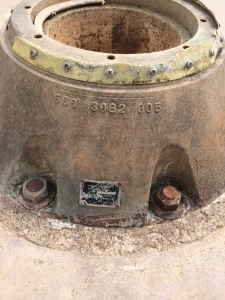 Some parts of this equipment still remain at the site. 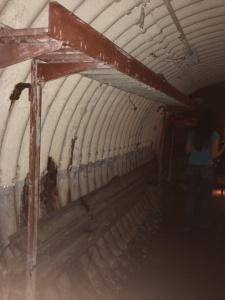 In the site’s operational period, there were a few small quonset huts at the surface to park servicing equipment for the missile and the silo. Some of the original foundations from these structures still remain at the site as can be seen in the satellite view. Atlas-F perched on the launch table with the blast deflector in place. 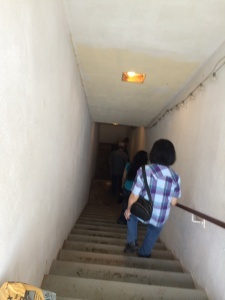 Our tour started at the protruding angled structure with the surface door angling down below the ground through a convoluted path to the next door. 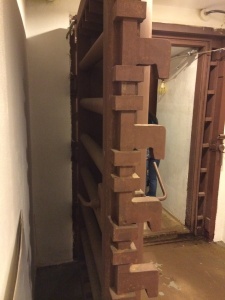 The path from the ground access door leads down two flights of stairs to a couple of turns leading to a pair of entrapment doors. 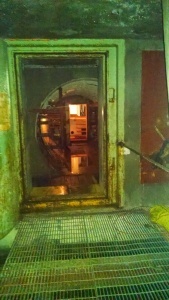 Beyond the entrapment doors are another pair of vault doors. 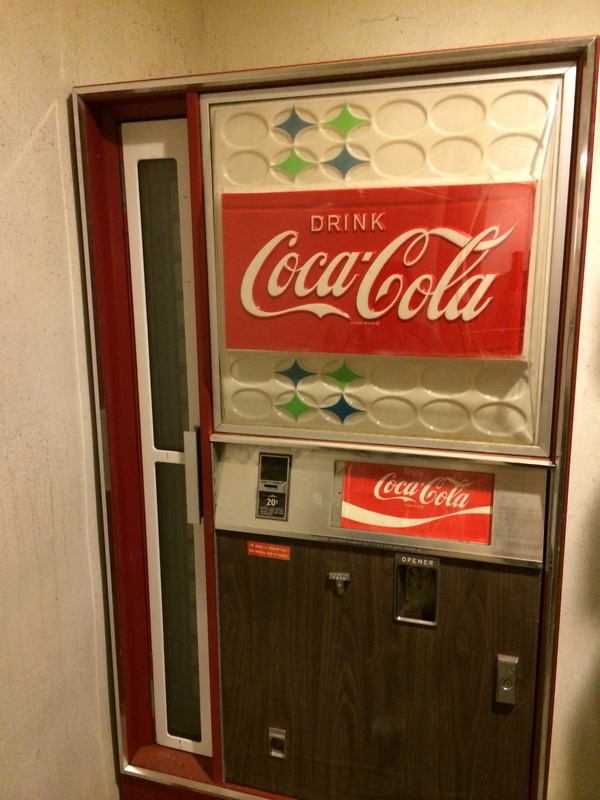 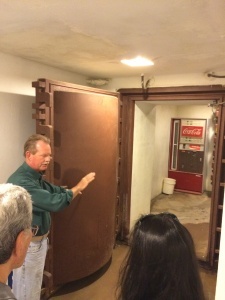 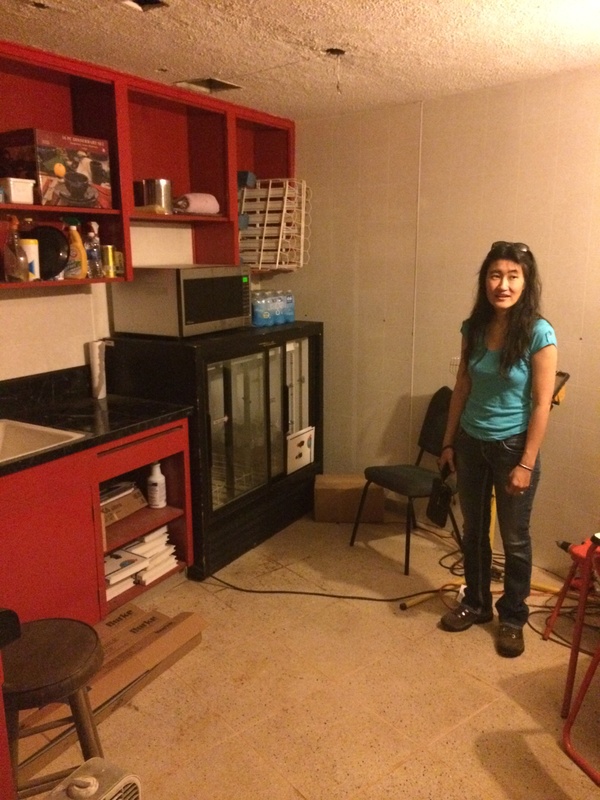 At the LAMB site, a vintage Coke machine is between the two vault doors. 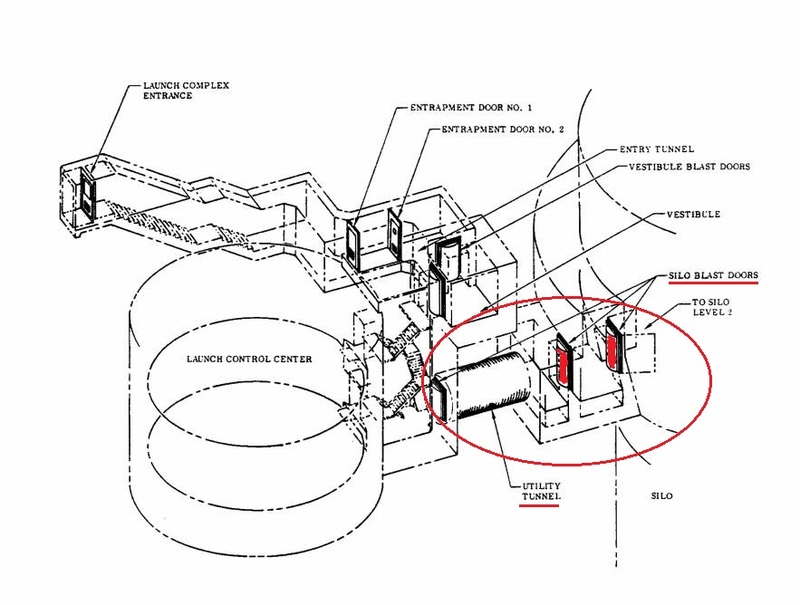 Beyond the vault doors leads to a two-floor stair case giving acccess into the round two-floor Launch Control Center (LCC). Once past the radiation-resistant vault door, the two man crew would descend a two-flight set of stairs to access the two-levels of the round LCC. 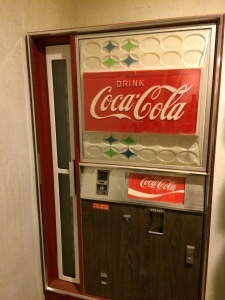 A vintage Coke machine was just behind the door which was a little bit of civilization inside this rugged castle. 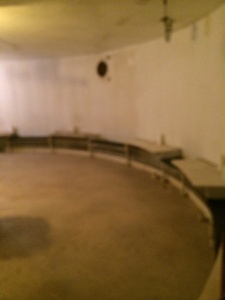 The whole missile silo was very cool despite the summer heat at the surface, but the humidity inside of the barren silo was very high. Larry said that he very often had to spread desiccant and was frequently combating the mold that would flourish in the moist darkness. 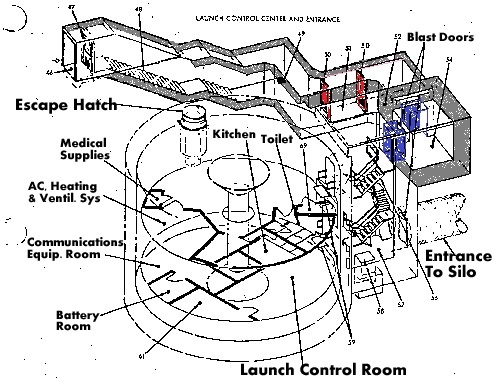 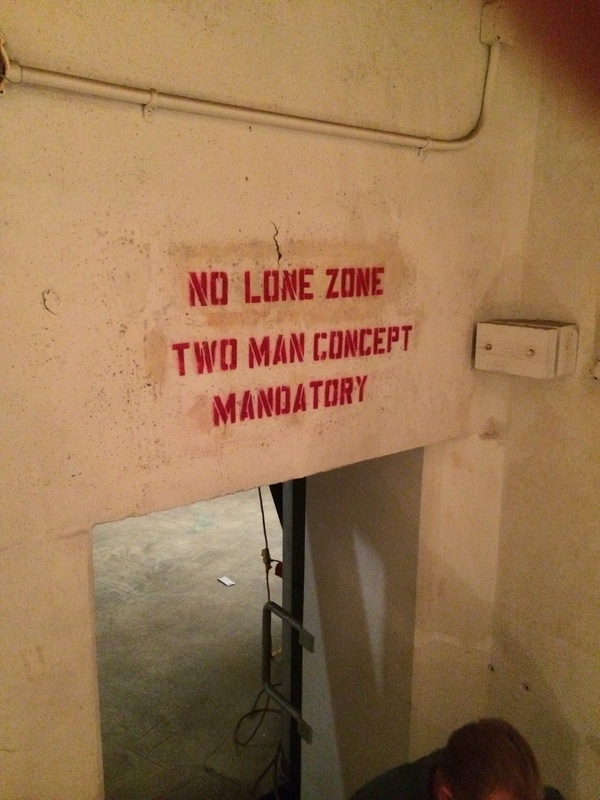 The Launch Control Center is a two-floor “pillbox” cylinder bunker that housed the crew and the command equipment for operating the missile and the silo equipment. When the site was decommissioned, nearly all of this equipment was removed leaving only the bare walls and only a few non-military items. 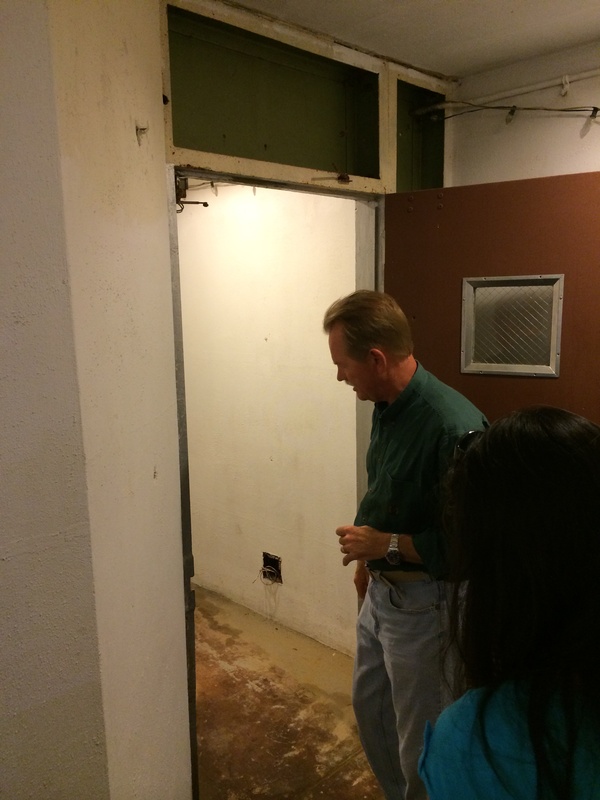 Having studied the subject and learning what he could from past missileers, our tour guide Larry provided details of where the crew slept, ate and conducted their duties all underground behind the vault door protected from nuclear attack from above. Nearly all of the original wiring and electrical fixtures were stripped out, so Larry has worked to slowly bring back ambient lighting into the LCC, or at least enough to safely conduct tours. Some of my pictures did not turn out so well in the low light, but the LCC had a lot to see. 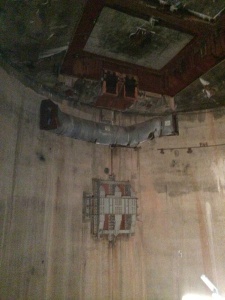 The lower level had housed the control equipment. 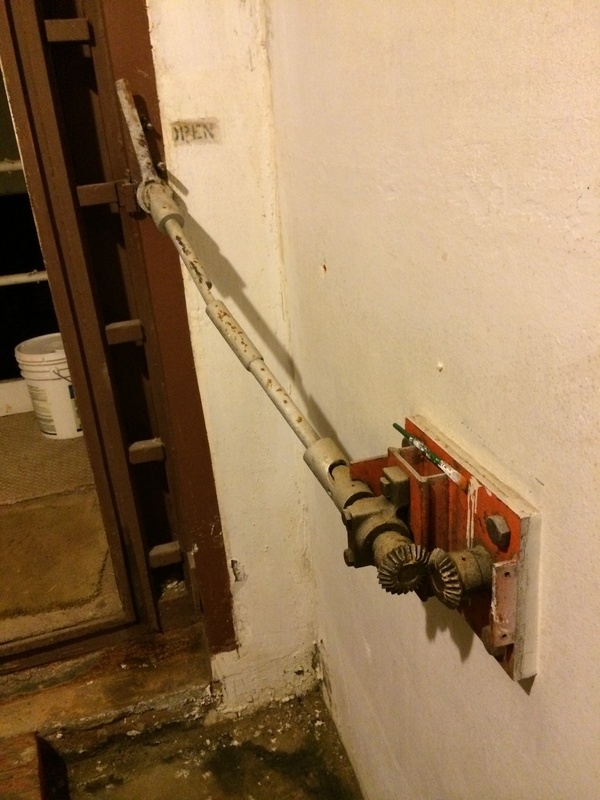 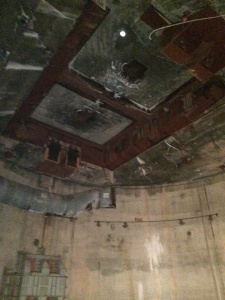 Much of this equipment including the electrical fixtures were stripped away. What remains is an old circular photo darkroom and a really nice poster showing the Atlas SM-65 missile. 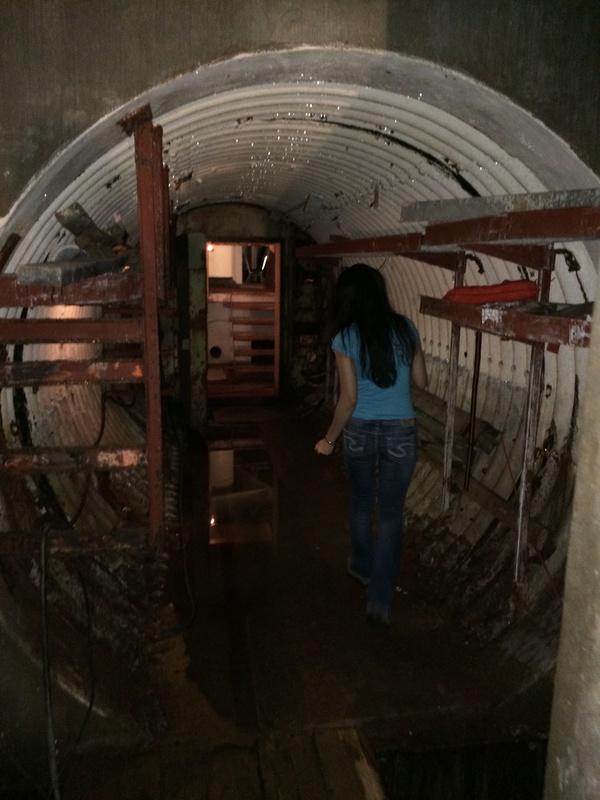 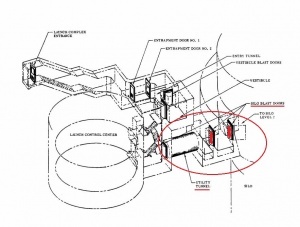 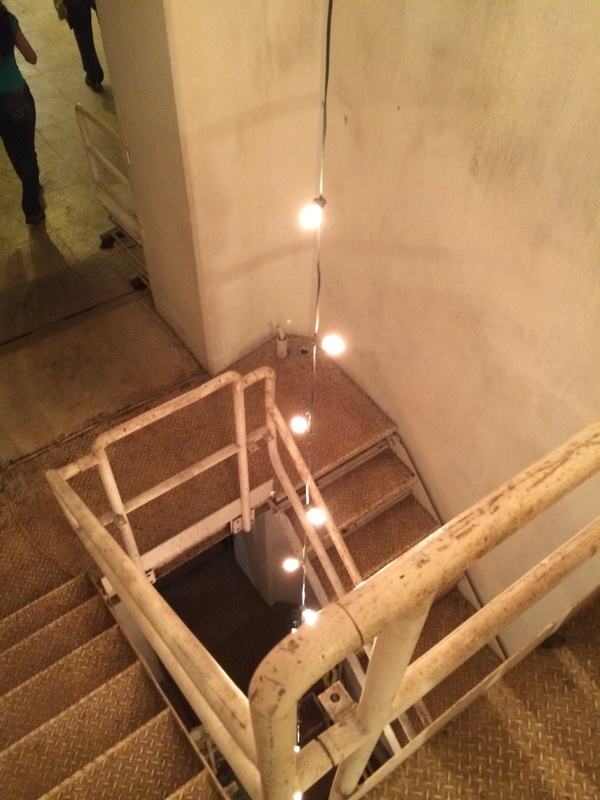 The two-story LCC has an access tunnel leading to the missile silo. This circular path had a flat metal grating floor with a corrugated metal piping wall. This access tunnel was heavily corroded from the years of trapped moisture from the missile silo slowly filling with water as the ground water slowly bleeds through the small pores of the concrete. This is a common problem in subterranean structures, like missile silos. 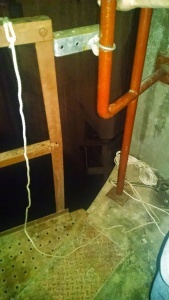 My pictures of this access tunnel were difficult to take from the low light conditions even with the camera flash feature. 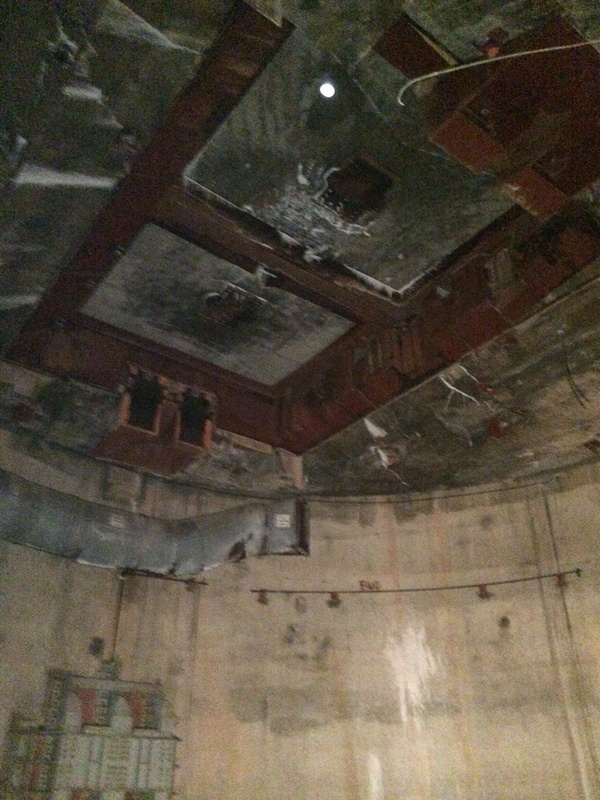 The missile equipment and silo structures have been stripped out of the silo during decommissioning leaving a dark cavernous cylindrical vault. 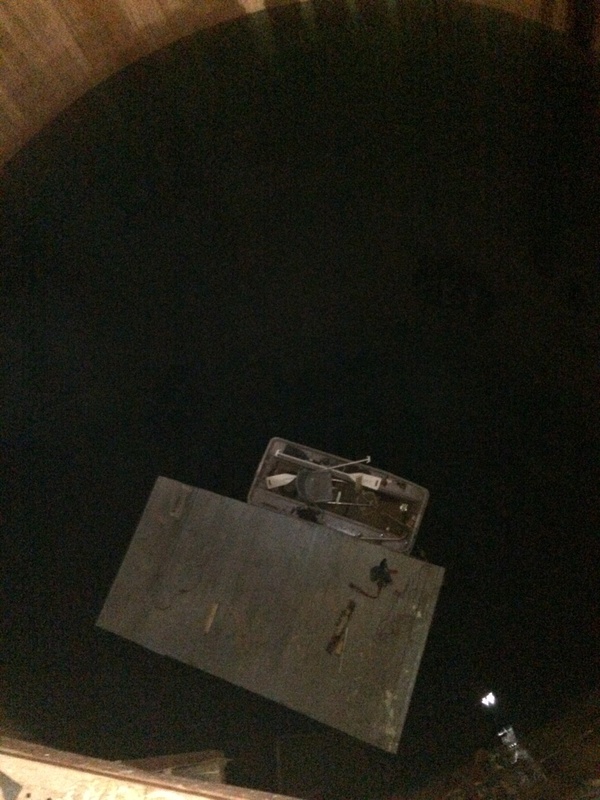 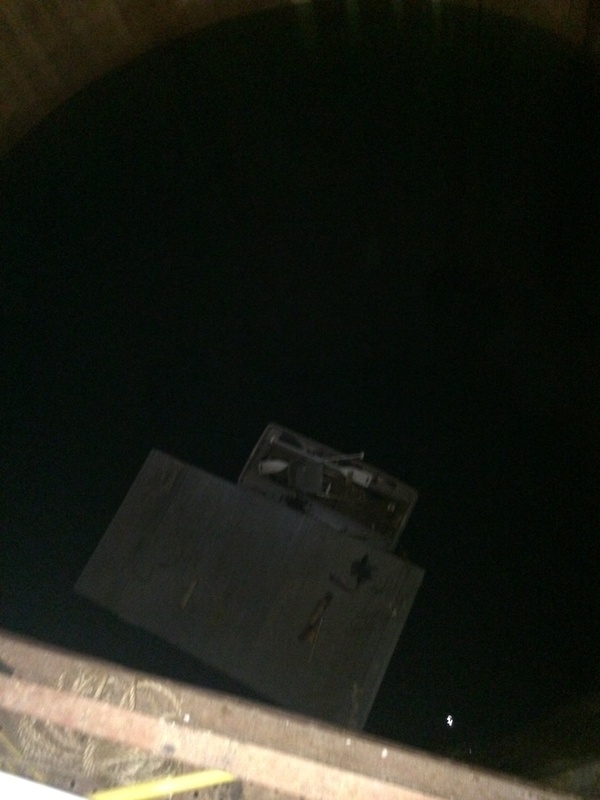 Larry had a make-shift metal deck installed just at the edge of the opening to the silo, with a rope ladder leading down to a floating platform he set at the waterline. Over time, rainwater would leak in from the silo doors at the top. 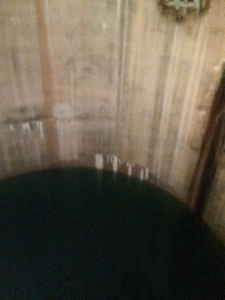 Also, groundwater slowly seeps through the concrete filling the silo roughly half full of very clean, very fresh water. 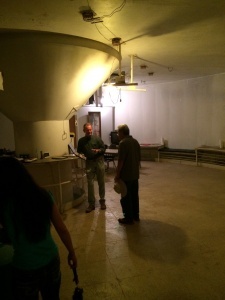 Larry is not entirely sure what, if anything, is remaining down at the bottom of the silo. 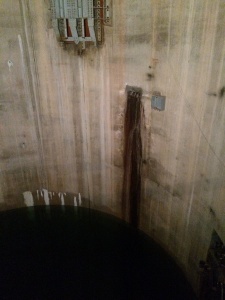 Divers had once expressed interest in exploring the bottom of the silo, but thus far, no one has explored the bottom. My pictures really do not do justice to this impressive site of being within this empty silent tomb. 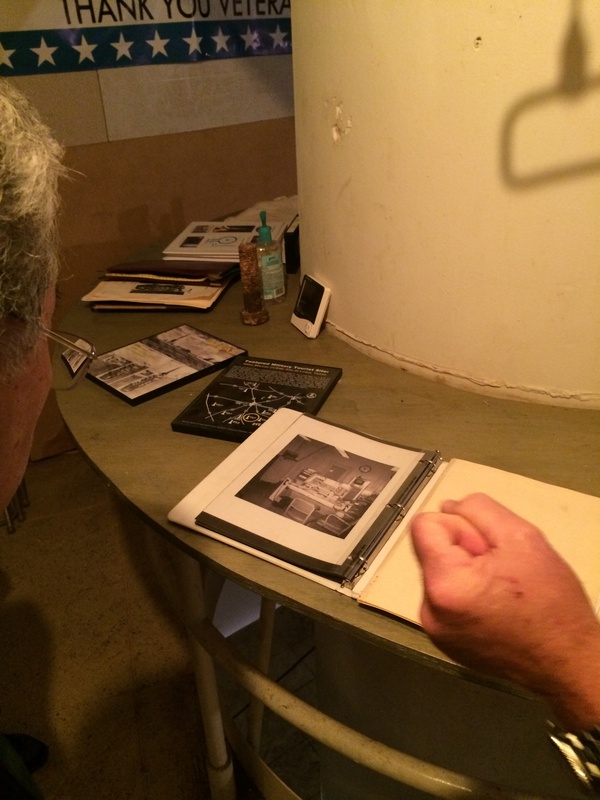 After seeing the missile silo, we returned to the LCC to examine some of the posters and documents Larry had collected on the Atlas missile and the missile base. 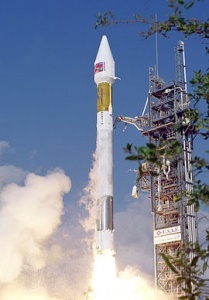 As the Atlas was being deployed as weapon, the rocket fulfilled an important early role in the manned spaceflight program. The first Americans in space, Alan Shepard and Gus Grissom, flew on Redstone rockets, but were unable to reach orbit. 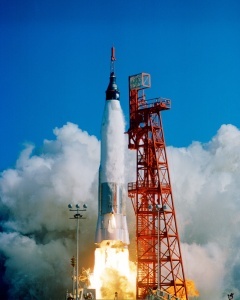 John Glenn, the first American to orbit the Earth in 1962, did so in his Friendship 7 Mercury capsule fitted on the more powerful Atlas used as a manned spaceflight vehicle. 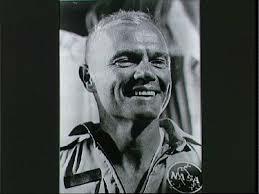 John Glenn, the first American to orbit the Earth, catching a ride on an Atlas. 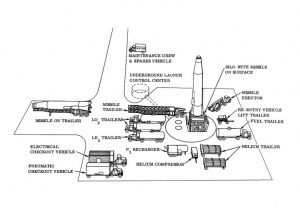 Although the Atlas had a fairly short operational history as an ICBM (1961-1966), derivatives of the same Atlas launch vehicle design continued to serve an important role as a space launch vehicle for military, government and commercial payloads. The remaining Atlas F vehicles became space launch vehicles with the last one flying out in 1981. 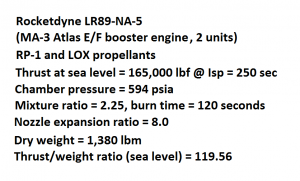 The Atlas F could loft a 820 kg (1800 lbm) payload to a 185 km polar orbit. 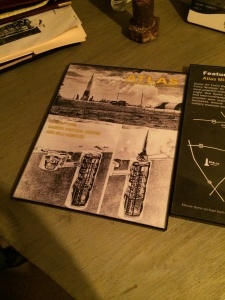 Starting with the Atlas G and H vehicles, the Atlas evolved over the decades all the way into the early 2000’s. 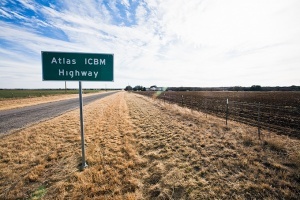 The last derivative of the original Atlas ICBM was the Atlas 2AS vehicle with a Rocketdyne MA-5A engine cluster that flew its last flight in 2004. 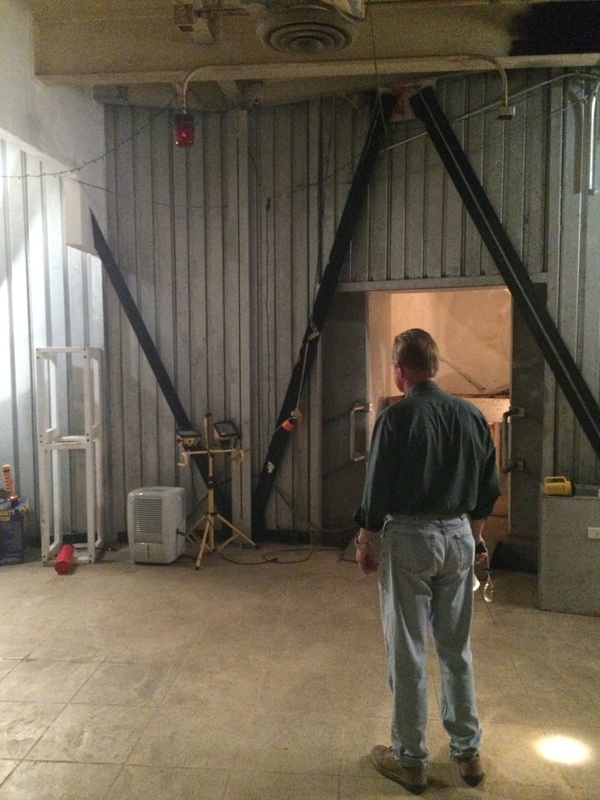 I really recommend visiting the LAMB site as Larry Sanders has really put a lot of his time and resources into gradually recovering the site from the great state of disrepair after being left dormant for decades. He has done a lot of great work in restoring the place and is active in continuing the project. 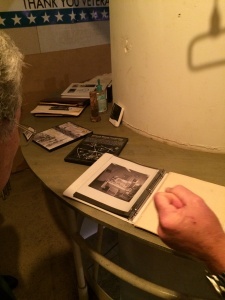 The LAMB tour offers people a rarely seen part of Cold War history. 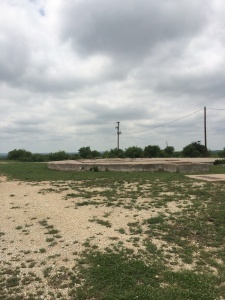 Although, the missile silo is now an empty vault serving as a museum, it’s easy to forget that this site was built to be one of the most lethal weapon systems ever created. 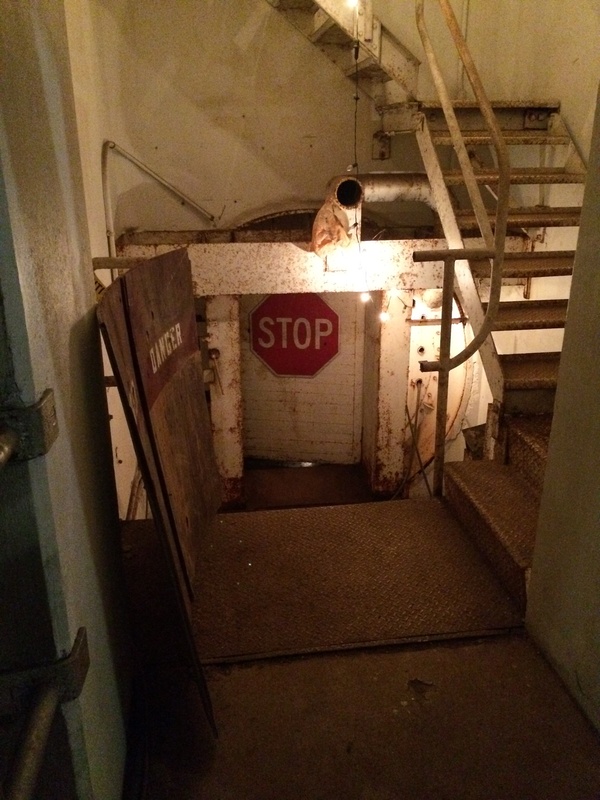 Pictures do not really tell the whole story as visiting the site in person can give you the feeling of being inside a place manned by a handful of dedicated servicemen charged with the awesome and haunting responsibility of maintaining a crucial element of the nation’s nuclear deterrent ready for a day that thankfully never came. 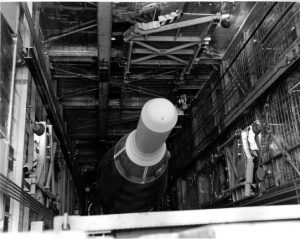 Although the Cold War era ended in 1991, land-based strategic nuclear weapons remain in operation in Russia, the United States, China and other countries around the world. For future reading, there’s a few websites dedicated to the Atlas missile bases from the Cold War. 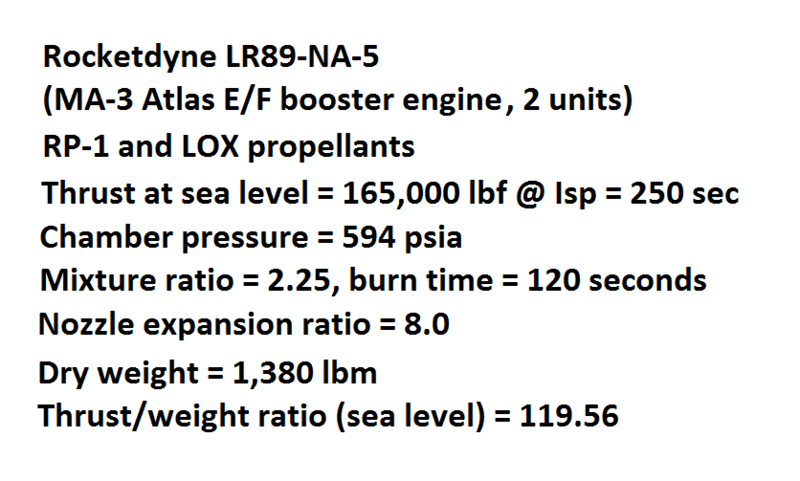 One has the specific details of the Atlas-F, the last and most advanced in the series. 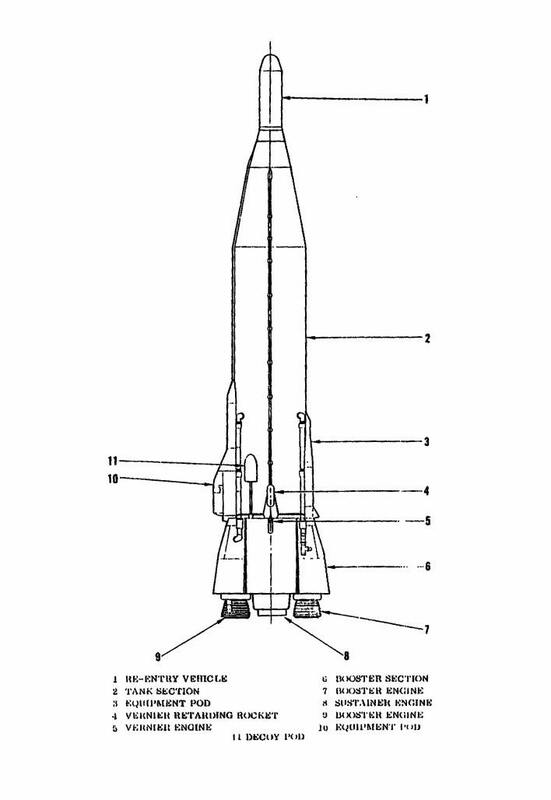 Also, for those interested in the Atlas SM-65 rocket, Wikipedia has a nice summary. I hope you’ve enjoyed this article as this has been a few years, but a very memorable experience. 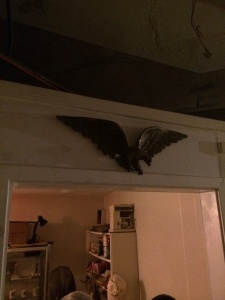 For any questions or comments, contact the RRS secretary.